When you head out to dinner at a Thai restaurant, you will probably have either a dish that features rice or noodles. There are many classic Thai dishes on our menu that are served with rice, and you have a choice of either Jasmine white rice or Jasmine brown rice. But you can probably guess that there are several other types of rice that people in Thailand eat that aren’t on the menu. A large part of the economy in Thailand is exporting rice — it’s actually the second largest exporter in the world. However, a lot of the rice actually stays in the country and is eaten by many people on a regular basis. In fact, when Thai people want to eat, they say, “Kin Kao,” which literally means “eat rice.” So when you sit down at our Thai restaurant and you want to impress your dinner partner, you have some Thai trivia! This type of rice is available in both white and brown varieties and is the most commonly eaten type. When the long-grained rice is boiled, it will give off a jasmine aroma, which gets stronger the longer it is cooked. Sticky rice gets its name from how it looks and feels after it is cooked. The shorter grained rice has a combination of starches in it that makes it sticky. This type of rice has a milky, opaque color to it. This variety of rice is actually steamed rather than boiled to soften the individual grains, resulting in a dish that can be used for both dinner and desserts. This type of rice has a reddish-black color and is slightly crunchy. The crunchy texture is from a bran layer of the grain being left intact in the processing of the rice. This layer is usually polished off to result in white rice. Brown rice is higher in fiber and also has a sticky rice version. 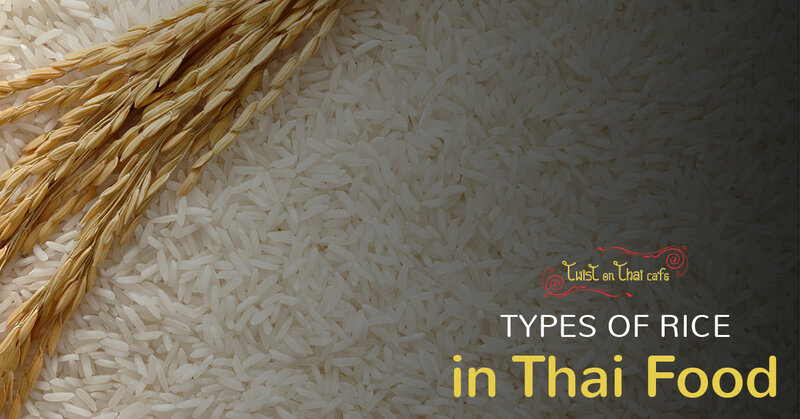 You can find a variety of colored rice in supermarkets of Thailand. These types are typically used in desserts. Green: This type uses pandan for color and fragrance. 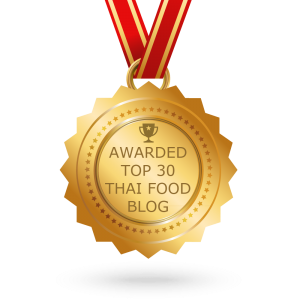 Thai restaurants use this type for mango sticky rice, rice cakes, and custards. Yellow: Many dishes combine a variety of colors, including yellow, and are presented together as sticky rice with sweetened coconut milk. Blue: The blue color comes from the Anchan flower, or the Butterfly Pea Flower. If you’re in the mood for some classic Thai rice dishes, come to Twist on Thai in Hopatcong. We have on the dinner menu Koa Pad, Kao Pad with Pineapple, Spicy Thai Basil, and four varieties of curry — all served with rice. 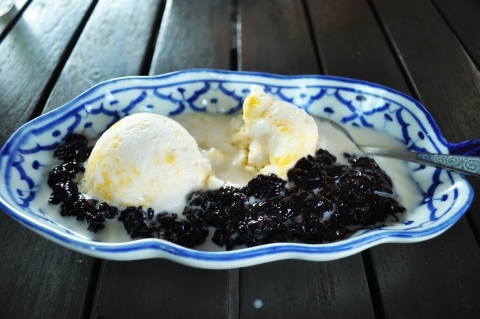 And if you haven’t had your fill of rice, order up a bowl of Sweet Sticky Rice with Mango for dessert. If you prefer noodles, you won’t be disappointed with our selection of noodle dishes, which include Royal Pad Thai, Pad See Ew, and more. When you’re craving Thai food, you want only the freshest ingredients and authentic flavors. Visit us tonight and finally satisfy your cravings.